Founded in 1995, ADUSA, Inc provides industry-leading systems integration to grocery retailers across the country. 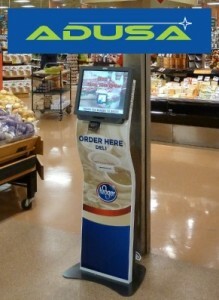 In 2000 the company began focusing on self-service kiosks and found themselves in need of an energy-efficient, small form factor computer with low power consumption to allow for portability and versatility in their new kiosk designs. 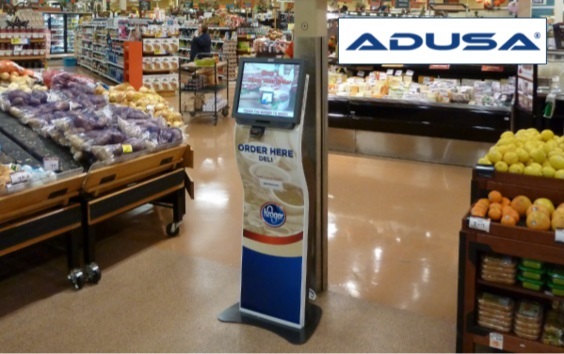 ADUSA was looking to build a consistent thin-client architecture that could be deployed across their kiosk network and also integrate into other automation systems including order processing for store associates and digital menu boards. The systems had to be versatile but discreet and able to stand up to 24/7 operation. Read on to see how we were able to assist ADUSA with a point-of-use system that met all of their requirements.